Out to Lunch, on Flickr. 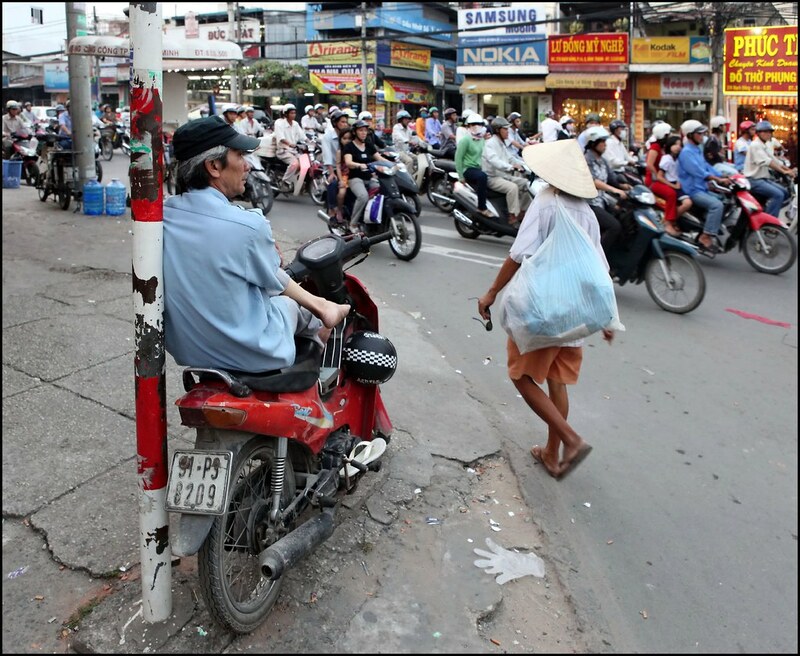 In a mega-city like Saigon, space comes at a premium...don't stand so close to me. August 2015. Fuji X-100T. Out to Lunch, on Flickr. 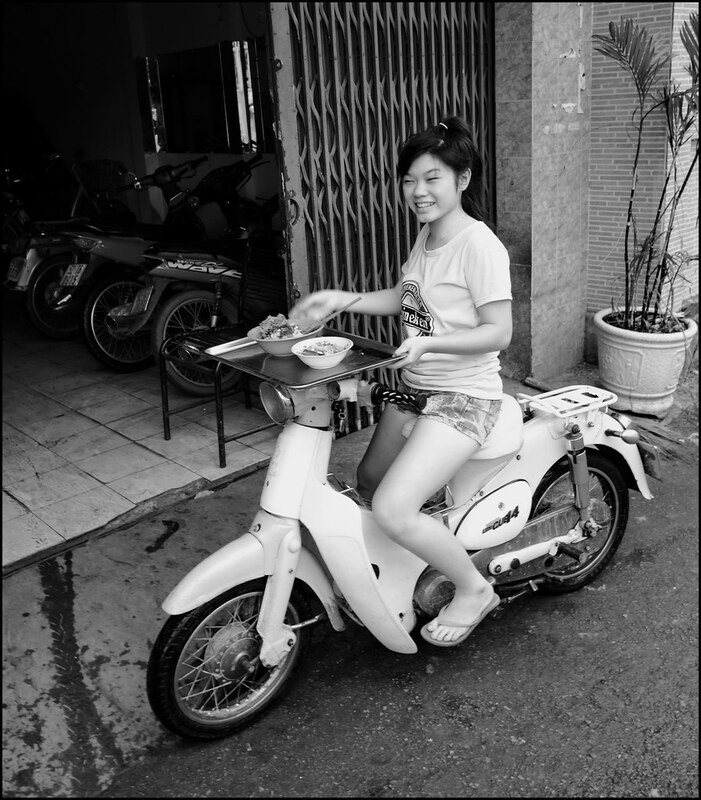 My ride in Saigon: a Honda SHi 150cc. July 2016. Leica M-E - CV Collapsible Heliar 2/50. Out to Lunch, on Flickr. 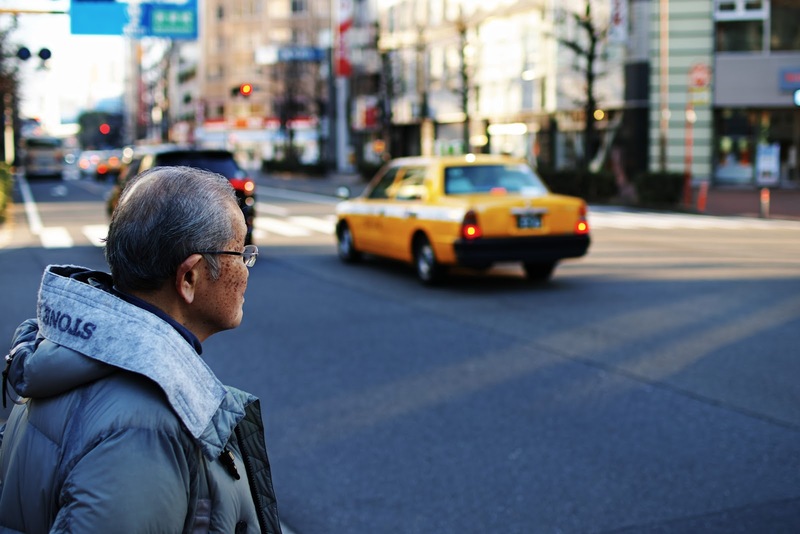 A 'Honda Om'/Honda taxi rider waiting for customers. 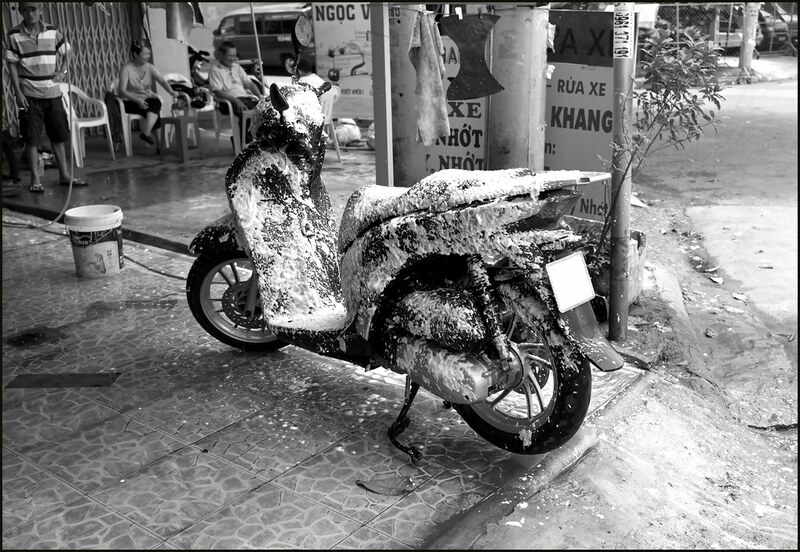 Saigon, December 2009. 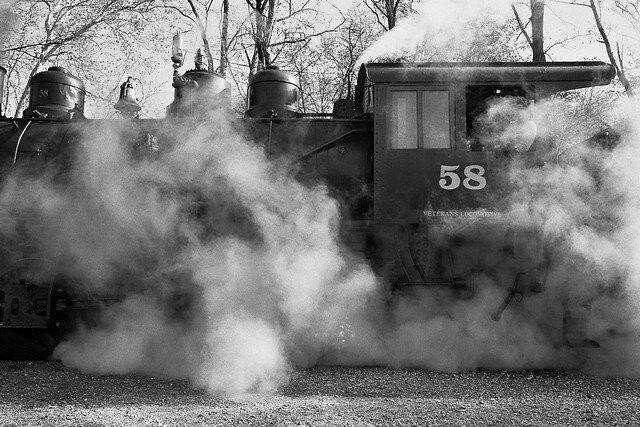 Canon 5DII - 2.8/24-70. 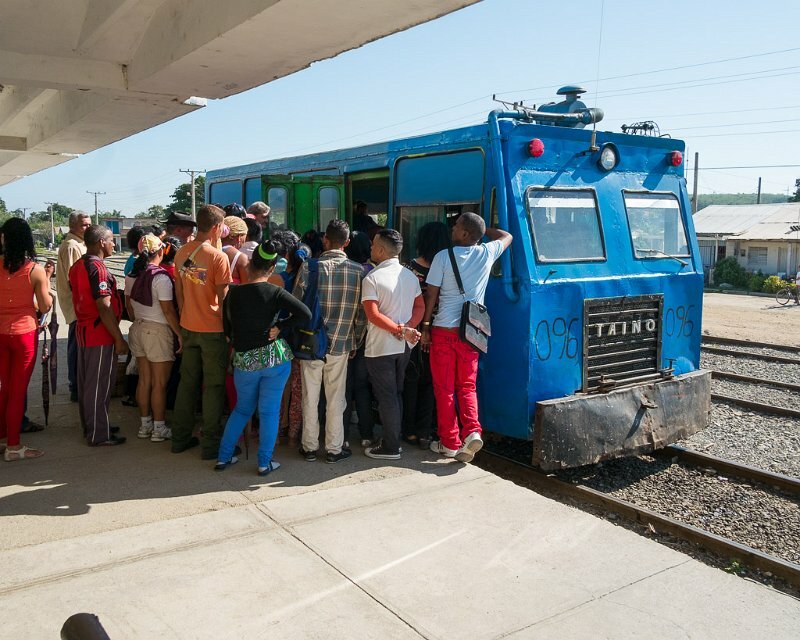 Cueto, Cuba: Carahatas are a hybrid truck or bus that runs on RR tracks. 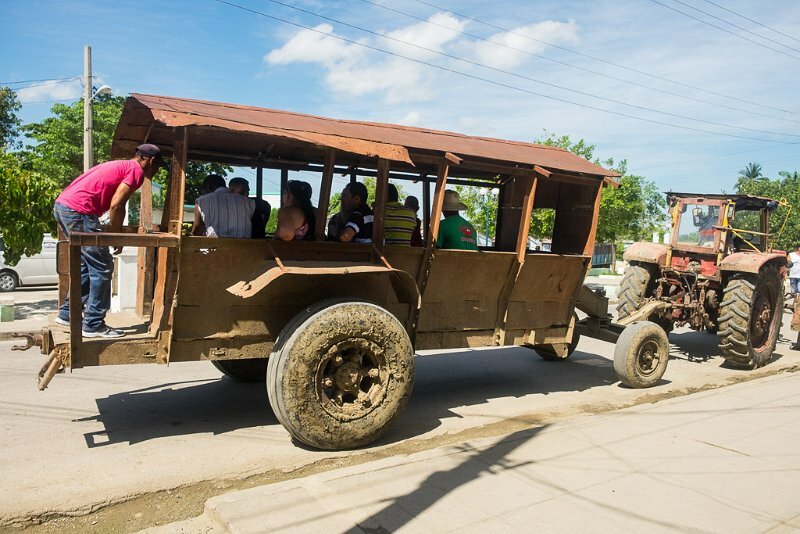 They are a part of the Cuban transportation system serving remote communities as the country is crisscrossed with RR tracks to carry sugar cane stalks from the fields to the mills where they are processed into raw sugar. 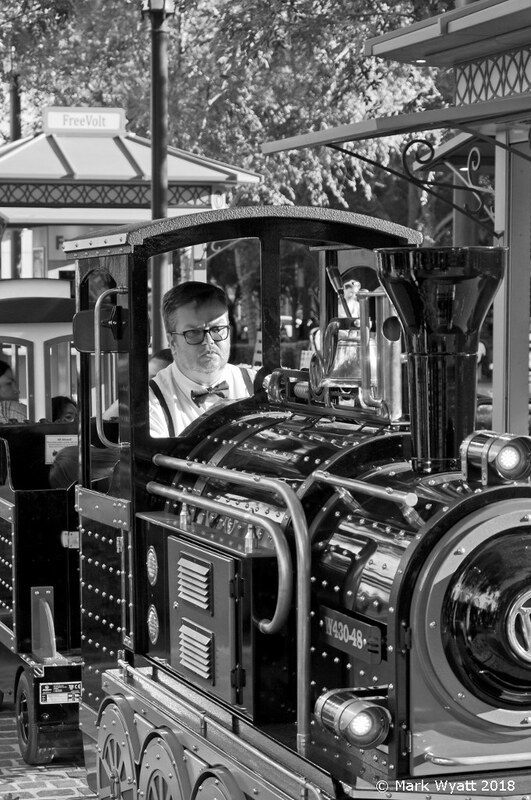 My main mode of transportation - the train! 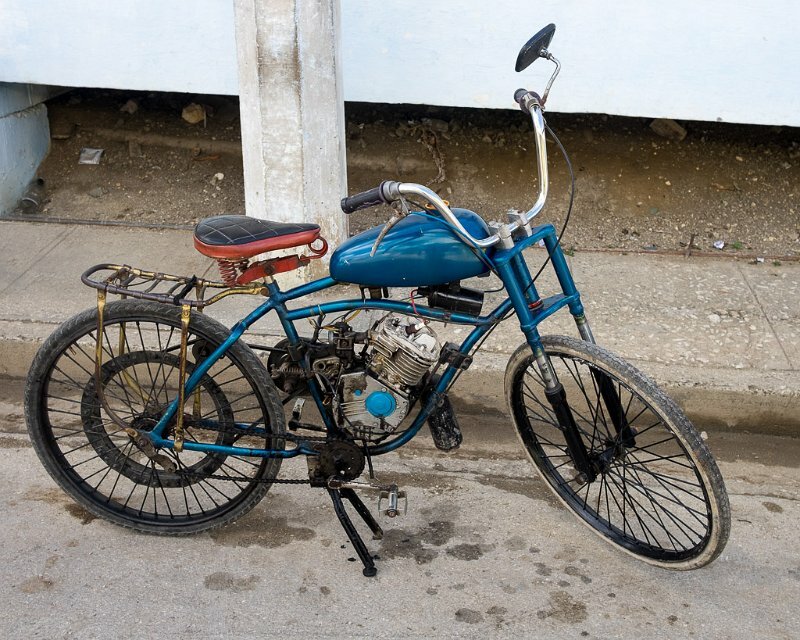 Cuba is a country of innovative transportation solutions. 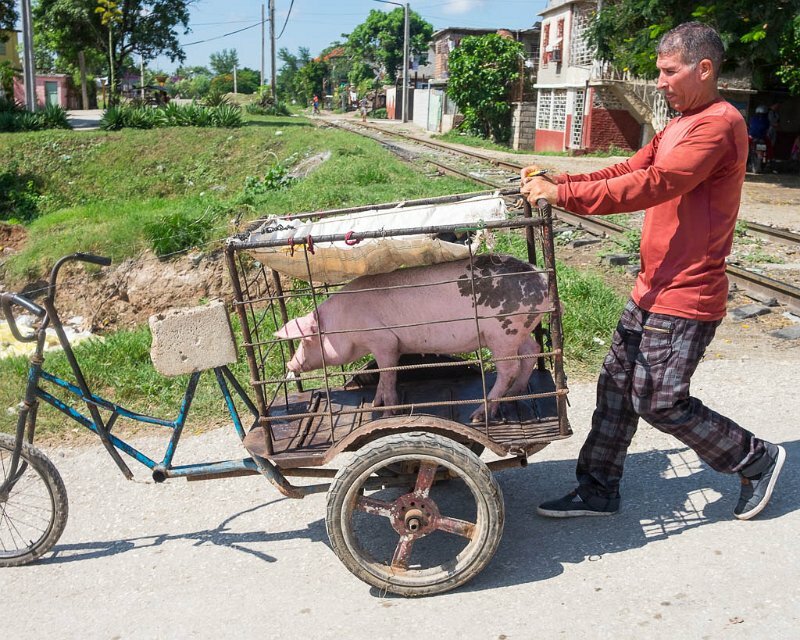 This pig carrier is used daily by a vendor who sets out everyday touring neighborhoods in Holguin with another pig for sale. When he sells the pig, his work day is over. 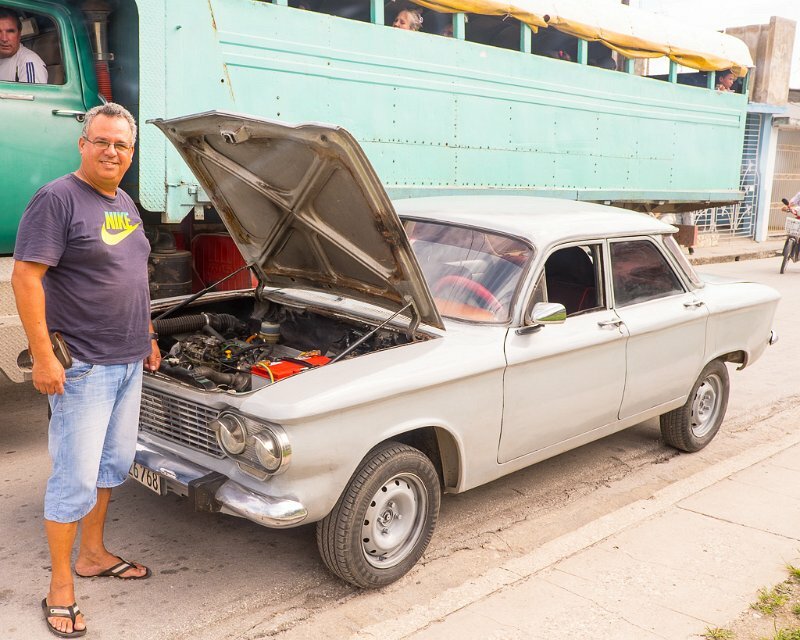 Once a '60's vintage rear engine Chevrolet Corvair, now a front mounted engine hybrid. 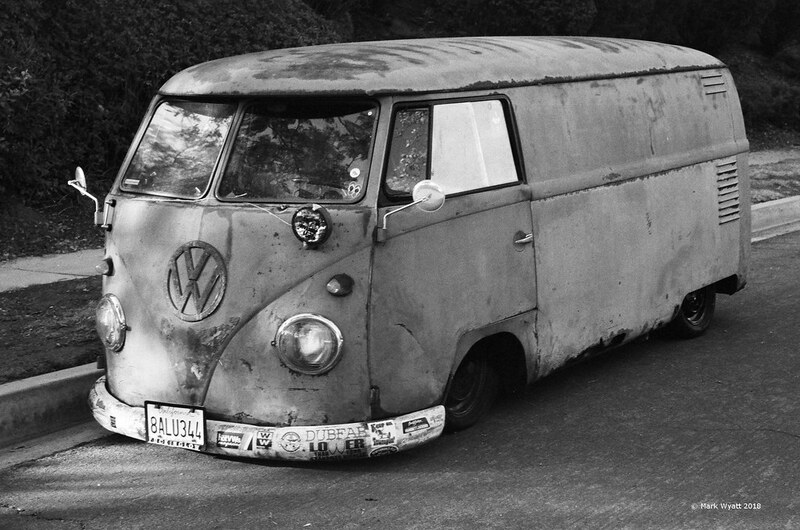 Transportation need not be wheeled. 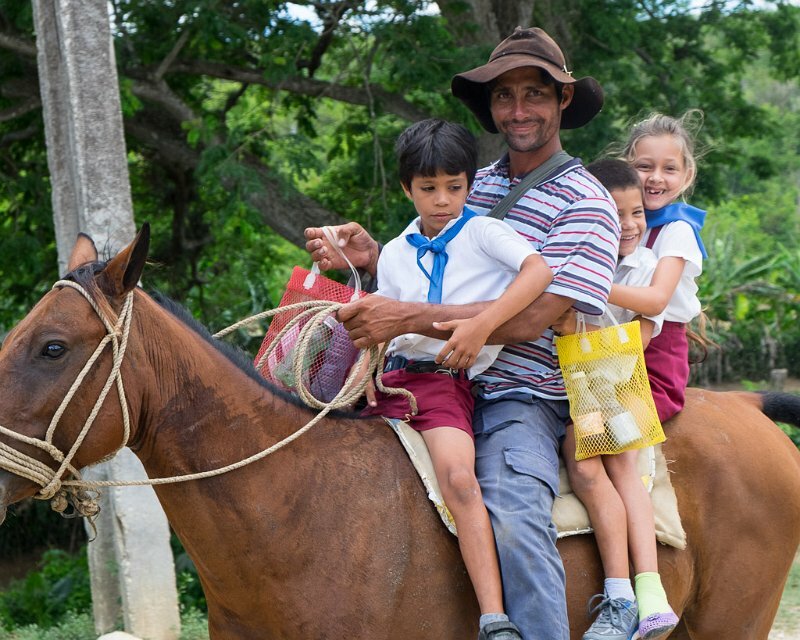 This local picks up his kids from school via horseback as they live out in the country. Some people live out in the country on muddy roads so there must be mass transit to suit their needs to come into town to shop. 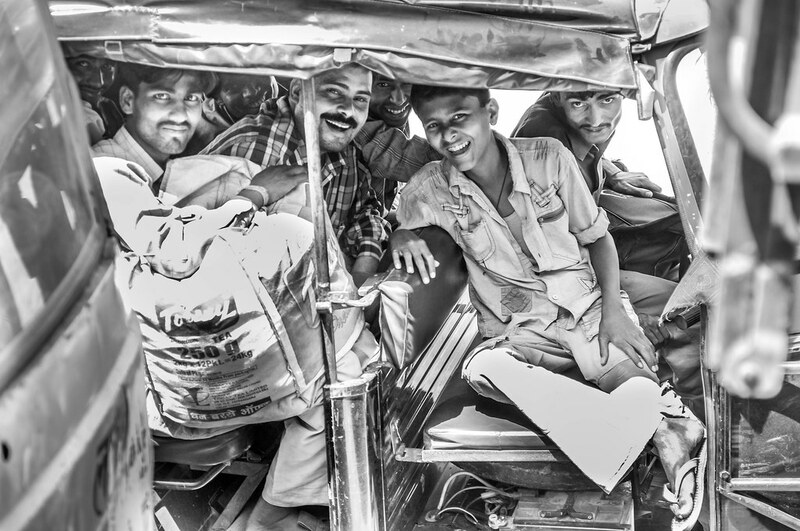 These tractor powered wagons also take people who live in town out into the country where they are agricultural workers. Out to Lunch, on Flickr. 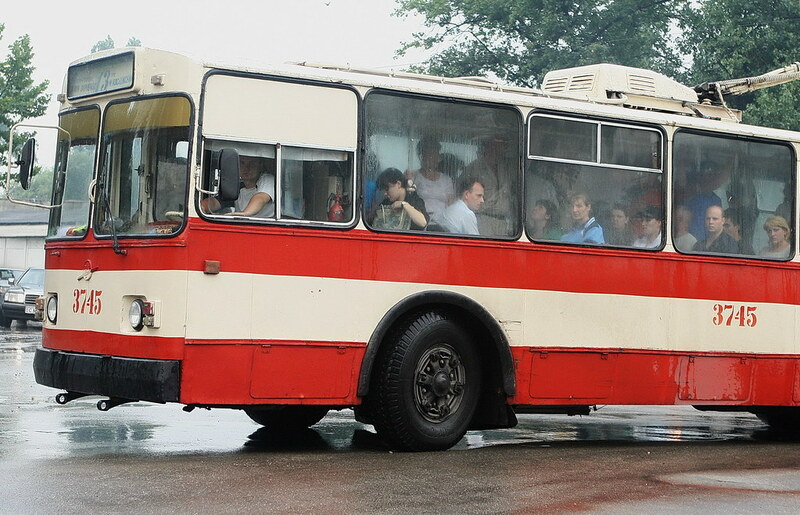 A Soviet-era trolley bus. Chisinau, Moldova. June 2007. Canon 1DMIII - 2.8/16-35. Peter, I'm starting to think that you're some kind of retired 007 type spy! BTW, that's a great shot. 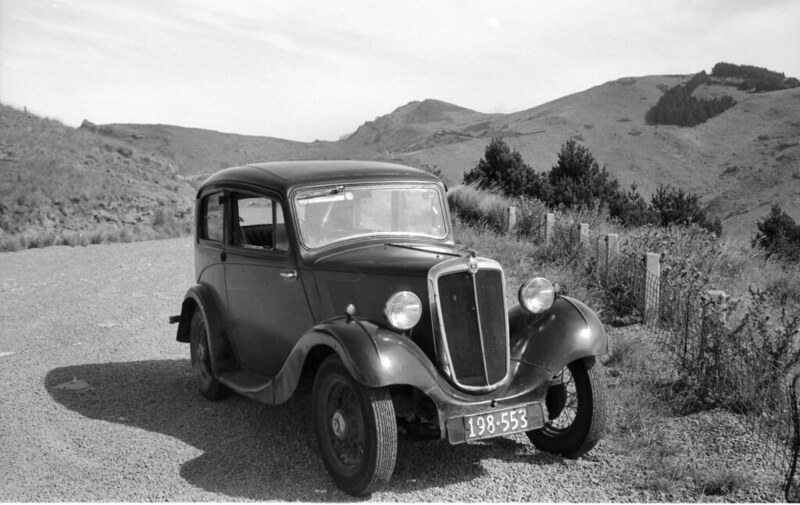 Today's transportation, a vintage MG. Perhaps this is 007 visiting Yokohama! resort town of Vung Tau. 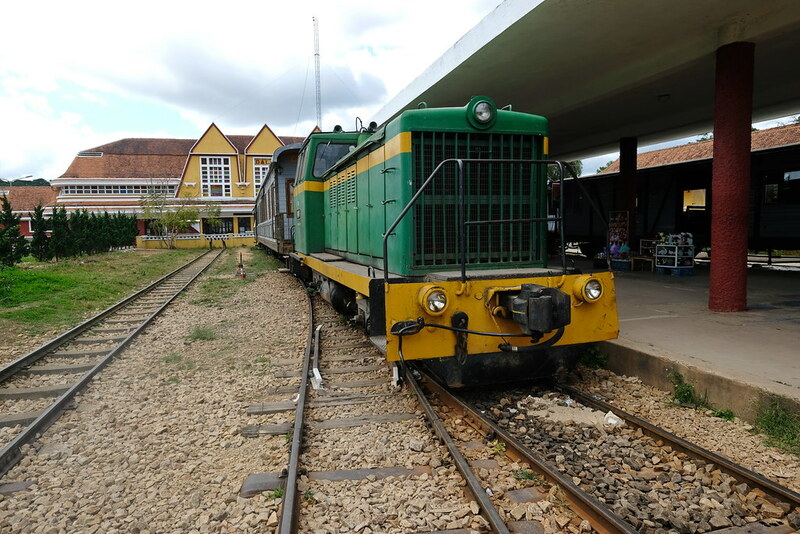 Very fast but decommissioned a few years ago. 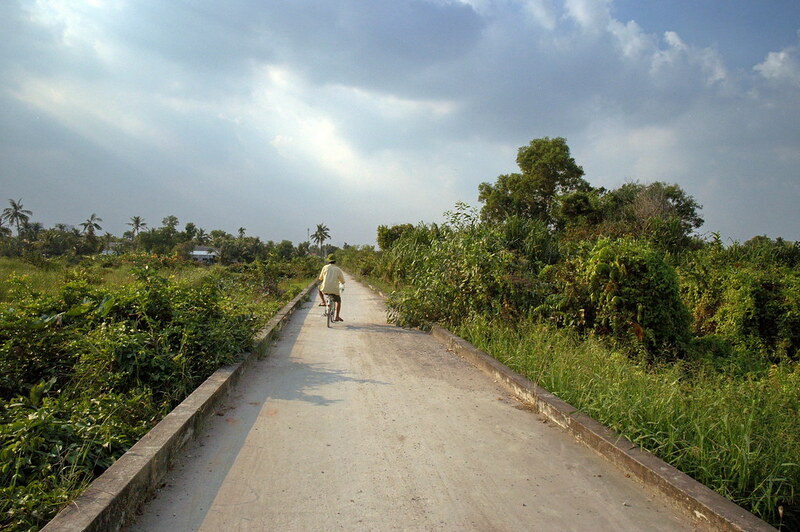 Bach Dang jetty in downtown Saigon, 2012 and 2009. 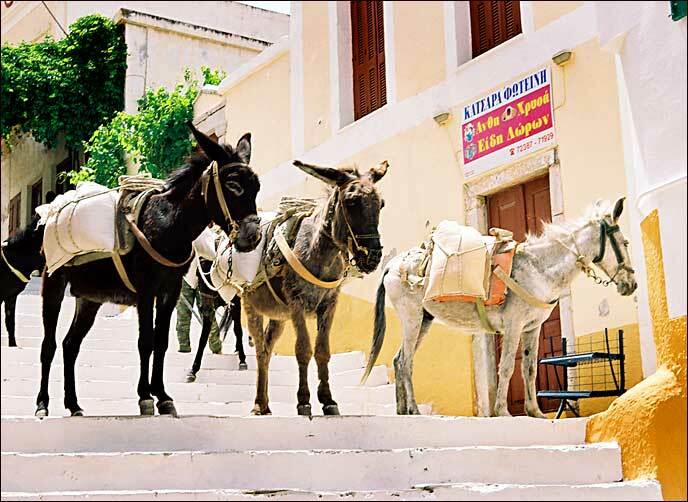 Simi streets are mostly stairways, so the donkeys are indispensible. 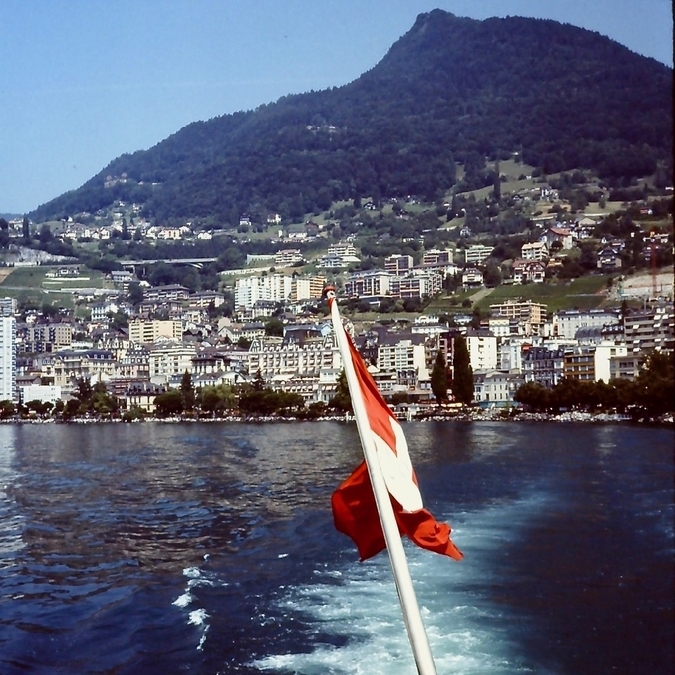 One of these days I'll get around to doing some proper scans of that long ago trip's photos. 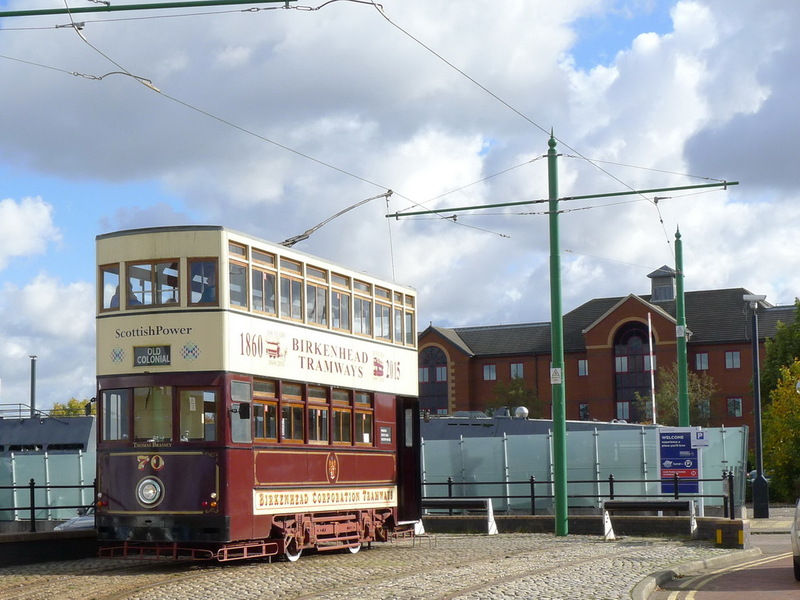 If you get your timing right after crossing the Mersey on the ferry from Liverpool you can take this tram into the town centre. Out to Lunch, on Flickr. Home delivery. 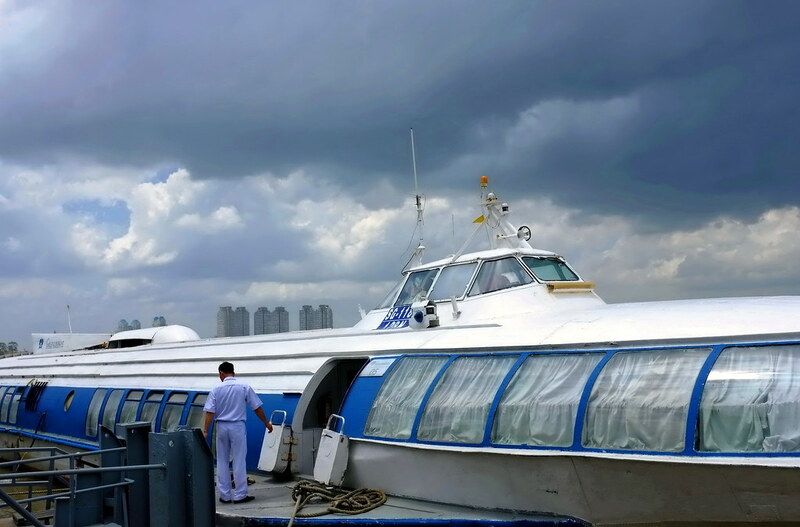 An Lac, Saigon. August 2013. 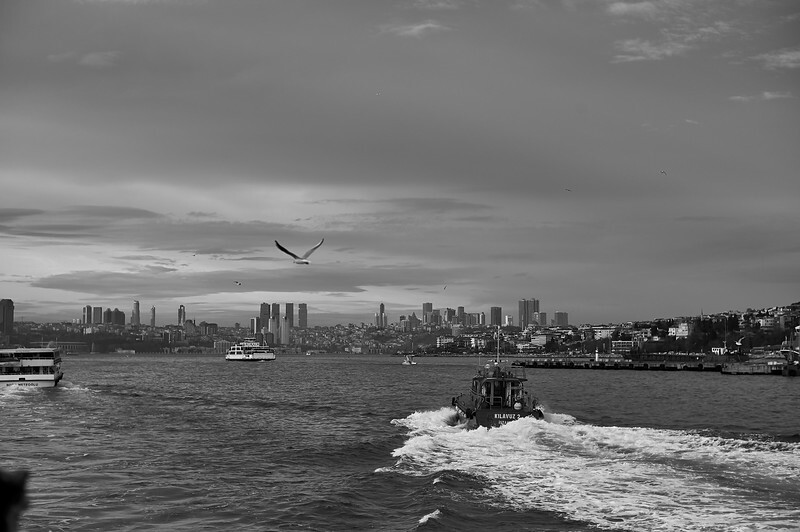 Fuji X-Pro1 - 2/18. Out to Lunch, on Flickr. The coconut express. 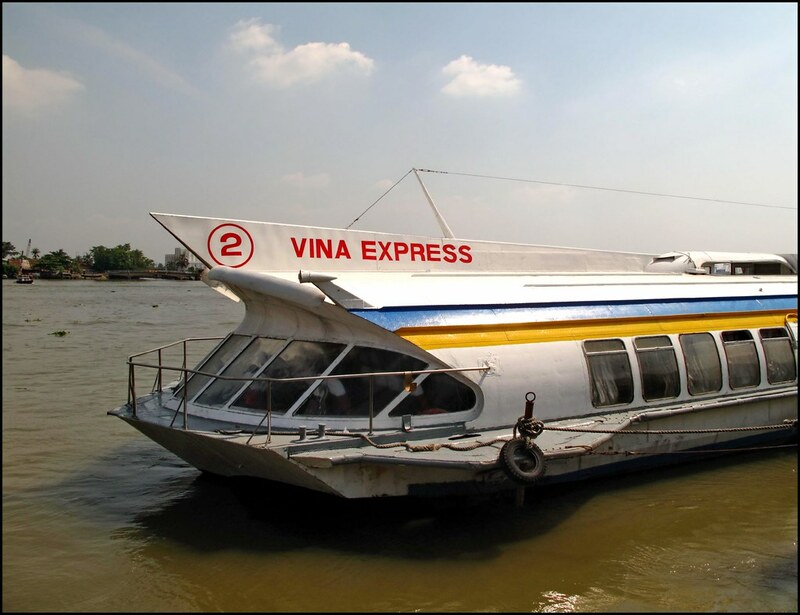 An Lac, Saigon. July 2012. Canon 5DMII - 2.8/16-35. Out to Lunch, on Flickr. 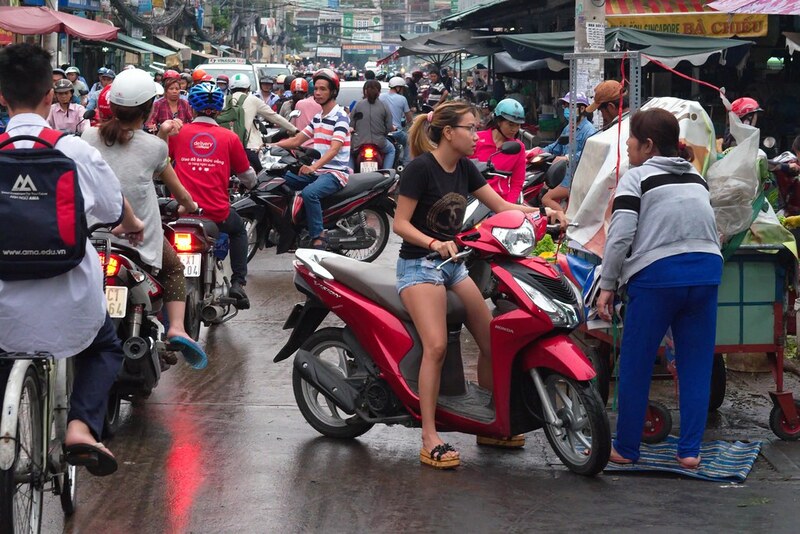 Ba Chieu Market, Saigon. May 2018. 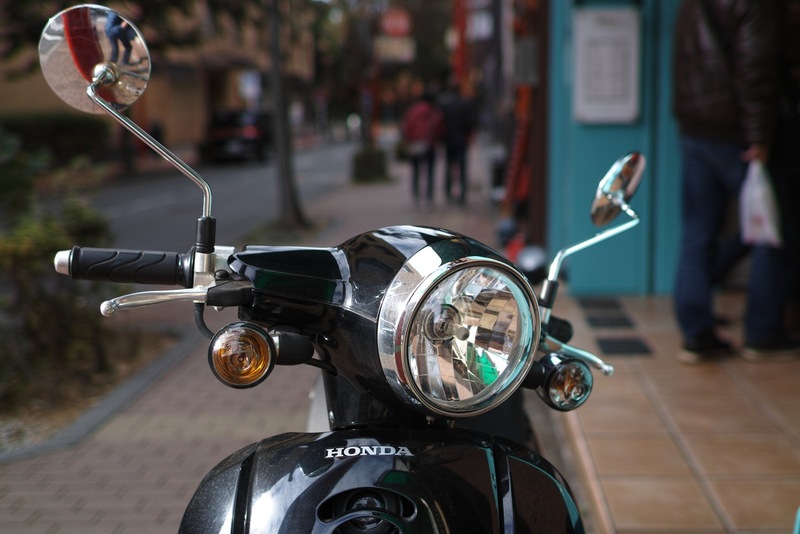 Fuji X-T1 - 1.2/56. Out to Lunch, on Flickr. 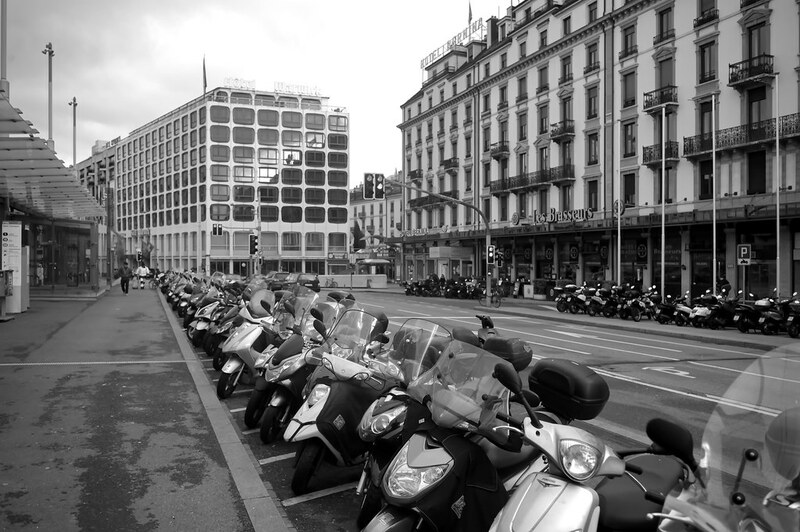 Place de Cornavin, Geneva. January 2017. Leica M-E - Biogon 2.8/28. Out to Lunch, on Flickr. Binh Tay Market, Saigon. July 2015. Epson R-D1x - 2.8/28. Out to Lunch, on Flickr. 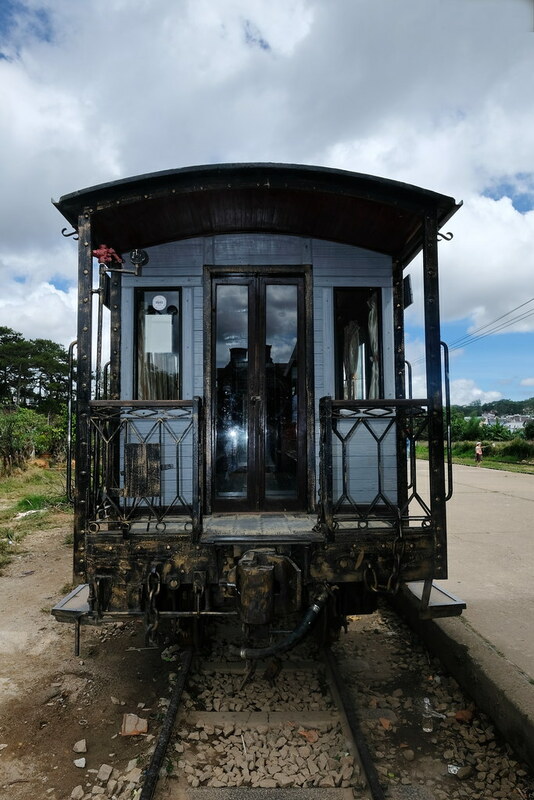 Train station Da Lat, Vietnam. December 2018. Fuji X-H1 - XF 2.8/14. Out to Lunch, on Flickr. 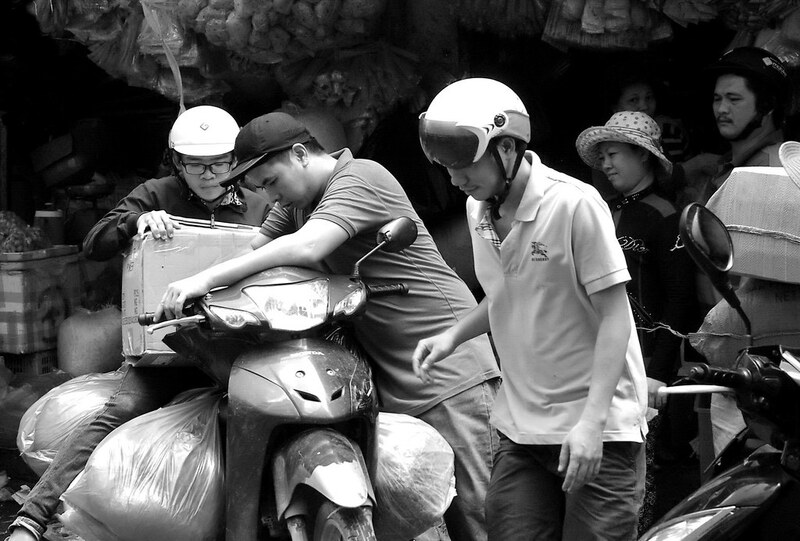 Ba Chieu Market, Saigon. January 2019. Epson R-D1x - CV Super-Wide-Heliar III 4.5/15 + CV 15-35mm Zoomfinder. ^ Well done, Peter, let's see some more! Out to Lunch, on Flickr. 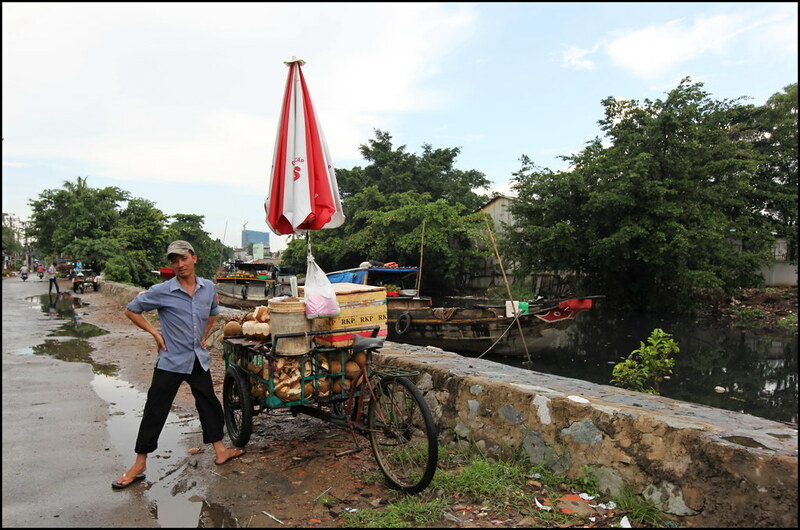 Even though you may think that I am in the deep country side, I am, in fact not more than 30 minutes by motorbike from the city center of Ho Chi Minh City where I found this man peddling home on a sunny Sunday afternoon. 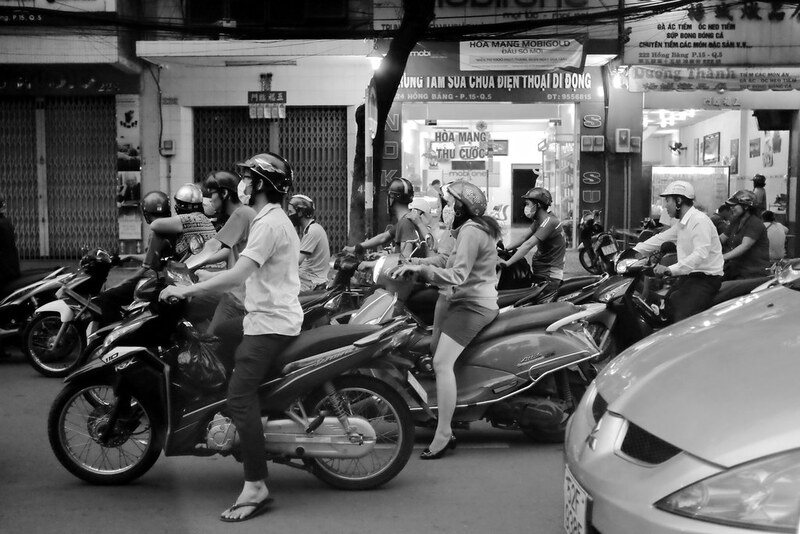 Thanh Da, HCMC. January 2019. Epson R-D1x - CV Super Wide-Heliar III 4.5/15 + CV Zoomfinder 15-35mm.